"Excellent work, good advice without over selling"
"I would recommend them 100%!" "Been trusting Rischbieter with all my automotive service for decades and have total confidence in their work and honesty with customers." "It was great. I highly recommend the services"
"Work quality and customer service are both first-rate!" "The quality of work is great and the price is right." "Bob is a great guy and a good communicator and is very fair when it comes to pricing." "Rischbieters is the best it’s the only place I get repairs done, they are fair, quick and accommodating"
"Work and customer service are excellent." "Very Honest and Friendly.. Bob will Only do what needs to be fixed and will let you know what the issue is. Bob is not pushy and does not Hard-Sell. I Trust him!" "I've been a customer for years and have always received outstanding service at a reasonable price." "Very good service and very trustworthy"
"I've been a customer of Rischbieter's for 30 years. They are conveniently located in the Village of Marlborough near Shrewsbury, Webster Groves & Affton. I have referred several people to this business. Bob is honest about necessary repairs needed and his fees are very reasonable." "I've been going to Rischbieter's for a few years now. Bob is honest, knowledgeable and very fair. I always feel comfortable taking our car there." "My “go to” shop. Highly recommended"
"They seem knowledgeable and explain the required work and why it is recommended. I felt they offered good pricing as well." "Extraordinarily honest and high quality"
"When I need any work done on my car or my son or daughter's car, I know I can trust the mechanics to tell me honestly what is wrong or what needs to be done. Ron Hook is great"
"I appreciated the friendly customer service and the quick turn around time!" "Definitely go to Rischbieter's Automotive, Inc and Ron is the best." "Awesome! Honest and reasonably priced." "Excellent service and very comfortable that work being performed is needed and will be done right"
"My family has taken cars here for years for service, inspection, oil change, and repairs. A few years ago, my check engine light came on while I was driving on the highway. I immediately took it to them and they checked it right away. I don't even recall if they charged me because it was something inconsequential. They are extremely honest, professional and do quality work. They will not upsell you on anything or try to convince you that you need something you don't need. I would recommend anyone take their car to them and you will not be disappointed with the service." "Extremely honest; honor my hard-earned dollar; understanding and easy to communicate with; timely"
"The service is outstanding at a fair price." "Bob is personable and helpful! Repairs are timely, efficient and fair pricing." "It was exceptional and I will surely recommend the services to others I know." "Great service, fair pricing, and most important, honesty. Great shop." "Excellent service, top-notch quality of workmanship, and Bob Rieschbieter is as honest as the day is long. I'd trust him with my firstborn." "A wonderful auto shop and conscientious owner. Very good place to do your auto repair business." "I have been a customer for many years. Their expertise and customer service is not equaled anywhere. Always grateful for what they do!" "I depend on them, and trust them. What more can you ask?" "Rischbieter's Automotive always provides the highest quality of work and genuine customer service. When you need something more than routine maintenance, they take time to explain your options and what the repair entails. I wouldn't take my car anywhere else!" "I never worry that I am being charged for unnecessary service. And the service is provided at a reasonable cost." 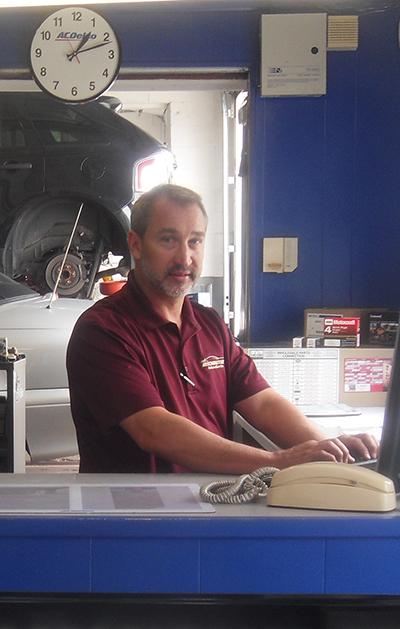 "Rischbieter's is the only automotive repair shop that I ever use. They are honest, reliable, and fair." "I would recommend their service 100%." "Very helpful and informative with a high quality of service"
"great people and good service especially Ron Hook"
"Excellent quality of work and very friendly customer service"
"I would say it’s the best around." "A trustworthy place and person for your auto repairs." 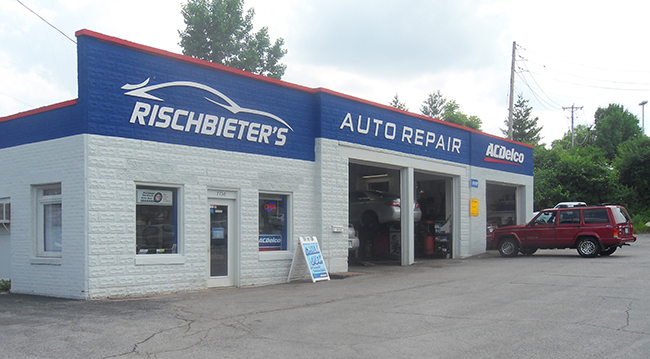 "I always receive excellent customer service and quality work when I have my car serviced at Rischbieter's Automotive." "Bob is the best! Shoots you straight and speaks in a language not intimidating to the lay person." "Bob and Ron are the best. Put in the extra effort to make sure the job is done right." "You can always trust Rischbieter's to fix your car right, at a fair price, and not pressuring you into extra unnecessary repairs." "Honest and Reliable repair shop at a fair price. They only fix what needs fixing and will make recommendations on optional items with no pressure. Very easy to work with and you will be dealing with owner when you call or go in." "your prices are reasonable and the service is great and friendly"
"We are long-time regular customers... recently had a time-sensitive situation and we took our car to Rischbieter's without an appointment -- Bob checked it out and gave us the go-ahead that the car was okay to make the urgent 120-mile drive that was planned for that morning. Really, really appreciated his help!" "The highest quality work and honest customer service. I wouldn't trust anyone else with my automotive needs." "This shop is trustworthy and honest. They are top notch mechanics that really care about what’s right for both your car and your wallet! Wouldn’t take my car anywhere else!" "Exceptional service and friendliness. We have been using them for decades and are extremely happy with their work." "Bob (Rischbieter's) is very honest. He would never tell you that something needs repair unless it is true. I also knew his father, and he would be very proud of him!" "I have found Rischbieter's Automotive to be willing to accommodate time frames and requests. "This is a great place to get your vehicle serviced"
"Best mechanic in St. Louis. As honest as God." "Top of the line. No one will shoot you straighter than Bob. He's the best and all around great guy." "They're the best in town. Trustworthy, fair prices, and great service." "This is the only place I'll take my car." "Very happy with the service....always know we are only getting what needs to be done at a fair price....Bob has helped us last minute several times"
"Honest, fair, and fast service. Will only do what is necessary. Good at returning calls and answering questions." "We have used Rischbieter's for years and have been very happy with their service, friendliness, and prices." "Rischbieter's quality is second to none! I know I can always trust them to fix only what needs fixing and to fix it right." "Very trustworthy and do quality work." "Honest estimates of the issue. No pressure. I wish Bob would take me to a Blues game." "Trustworthy, helpful and friendly local shop. Bob was able to answer all my questions. 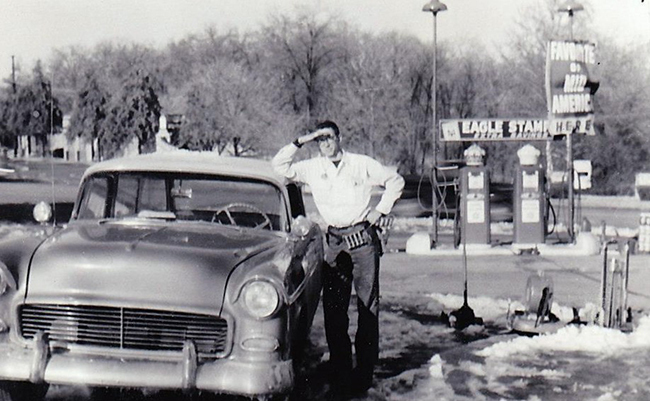 My family and I have been dropping our cars off with Bob since I got my first car as a teenager." "Would highly recommend them and have done so several times." "Bob and his team are the best at what they do and I won't take my vehicles anywhere else....they are trustworthy and I rely on them to keep my family on the road with safe reliable transportation!" "You can be certain your car will be fixed right and that no unnecessary repairs will be performed to increase the costs." "Great customer service! Honest and trustworthy. Been in business for a very long time. This is a family business, good guys, and mechanics that know their stuff. They've worked on my old 1978 Jeep as well as my my newer cars. They do a great job every time." "Good quality service with honest evaluation of mechanical problems"
"Great service - extremely trustworthy." "Have been coming to Rischbieter's for 30+ years -- always very trustworthy and dependable!" "The work was fast, good and priced right. Information given was accurate, I was able to make alternate transportation plans, communication from the shop was good. There is a lot more that goes into a car repair than the repair itself. If the price is right I didn't get a headache over the service, I'll be back." "Everyone is very friendly at Rischbeiters. When I call with car trouble, they get my car in fast and the repairs are made as quickly as possible. Bob always calls to discuss the necessary repairs and repair costs before any work is done. I have always been very satisfied with the repairs. Most of all, I TRUST Rischbeiters!! I can't say that about other repair shops I've used over the years!" "Bob is completely honest and does good work. If something doesn't need to be done - or if the car is too old to spend much money on - Bob will tell you. He does what he says and has the work done in the time promised." "Bob's honest, he knows cars"
"Highly recommended. Customer service the best." "I have recommended Rischbieter's because of their great customer service and quality work." "I can't speak to the work issue YET, but customer service was excellent! Mr. Rischbieter went above and beyond (maybe not for him) to help me with an issue i have with my car. he offered suggestions on saving me money which i greatly appreciate. I expect to have further work done at his shop." "The customer service was outstanding! Everyone was very warm or welcoming. I was impressed with quality of time they took to look at my car and knowledge they shared with me. I appreciated their honesty and friendly service. I could feel they wanted the best for me. I would recommend them to anyone. Thank you!" "Great place to bring your vehicle! They are priced competitively, and they didn't tell me to have unnecessary work done." "Good guy, honest, doesn't oversell." "without a doubt Rischbieter's is the best & I would highly recommend them to everyone." "Bob and his staff are top-notch. Love the fact that he has a Jeep guy on his team, as I own two and won't take them anywhere else. The staff there are very helpful and you can't be their customer service. I'd highly recommend these folks to anyone looking for routine, or substantial, vehicle service." "He's the best and most honest mechanic I've come across." "You can be certain that Rischbeiter's is honest and highly skilled and will diagnose and repair your car at a fair and reasonable price and stand behind their work." "Good service at a fair price. Integrity & honesty"
"Great work at a reasonable price"
"On more than one occasion, we've been told by other shops or dealers that we need an expensive repair. Rischbieter takes the opposite approach. If it doesn't need fixing, they tell you that. And if it does need fixing, they do it right and they do it for less." "The best and only place I get my whole family's car care needs taken care of there"
"They are my trusted mechanics." "Bob is fair and kind and has provided me and my family with consistent reliable service throughout the years!" "Honest service. I followed Ron here and will be a loyal customer." "Great service at a fair price. Very thorough." "I would tell them that Rischbieter's Automotive is very reputable. They do good work and are very service oriented." "I have been going here for 40 years (Bob's dad before him) and have always been extremely satisfied. And, more importantly, trust him with my car." "Quick, courteous service. Fair price." "A very honest repair shop that will fix your car right and not make/recommend any unnecessary repairs." "I would highly recommend you to othera"
"Bob is very knowledgeable about any car repair that I have ever brought him. He is very patient and informative when explaining the repair that needs to be done." "This is the place you should go!!!" "They are thorough, compitent and very customer friendly!" "I would tell them that the quality of work and customer service are great and I would recommend Rischbieter's." "Persistent in figuring out what is wrong with my car. He is trustworthy." "Most trustworthy shop I know"
"All excellent. It is a good feeling to know and trust someone for your auto needs." "These folks are very up front and do exactly what you ask of them. I was referred to them by my neighbor and I'm glad I gave them a shot. Incredibly personable did a great job on my Jeep." "Bob Rischbieter is an honest auto shop owner that does quality work for a fair price. I do not have to worry about paying for "extras" that I do not need. If something unforeseen should come up I have been called and given options. I enjoy working with a local family-run operation that gives me Great Customer service and is willing to work with me on my car service needs. You can't go wrong with Rischbieters!" "They do great work. They never over charge. They are trust worthy and never sell me stuff I do not need." "That they'd be incredibly stupid to go anywhere else but here because how awesome Bob is very straightforward and nice. Plus very honest." "Excellent. They are honest and fair." "Great guy, honest , open to talking about your situation. Very fair pricing." "This is a first rate shop that does excellent work. They are honest as the day is long and they really take care of our family's cars." "I appreciate the honesty and excellent quality of work." "That they can expect professionalism and honesty." "I'd tell them I received friendly, trustworthy service work and would recommend Ron Hook to work on any of my friends cars." "Bob and his team are fantastic and are in the business to make lifelong customers, not sell you something you don't need. This is tough to find in the automotive business." "I refer everyone that I know that needs automotive work to Rischbieters. The quality of work and service is exemplary, but what I appreciate most is the integrity and honesty that have been the hallmark of every dealing I've had with Rischbieters. An honest, fair dealing, reasonably priced auto mechanic is worth their weight in gold." "It's a trustworthy shop ran with integrity"
"I have used Rischbieter's for over 10 years. They provided me with great service, good prices, professionalism, and a friendly atmosphere. The best shop I have ever used and will continue to use." "Excellent work and friendly customer service. 100% trustworthy." "They are good mechanics and are very honest in their prices and will not do work that isn't needed." "Bob is very friendly and honest. He and his mechanics do very good work on my Porsche and I trust them. I recommend them to people looking for a good option for servicing their more exotic auto." "Great work at great price"
"Great ownership; honest and fair." "Rischbieter Automotive provides great work at an unbeatable price and I feel that I am all ways treated as their number one customer." "They're honest and do quality work." "Bob is very honest and trustworthy. He will tell you what work is needed and the approximate cost. If the work is not needed, he will let you know. Bob's shop is #1 and I would not take my car anywhere else unless he recommended it." "Honest, quick and excellent service"
"First-rate, great service, excellent communication, local. Really feel safe trusting my car to them. I like how they treat me and I like how I see them treat their other customers when I'm in there. Just really first class." "They won't do anything but what is needed." "Go see Bob, because he is honest, doesn't upsell you (like others) and does a fine job. He provides you with a list of items that are due for maintenance, so you can keep your car maintenance in perspective. Bob recognizes that we are busy people, so this update is very valuable. He is friendly and willingly explains any procedure for my understanding. I came to Rischbieter's after my mechanic of 20 years retired. They were a welcomed change." "There is no better place to go. It is the only place I feel one-hundred percent confident and comfortable as someone who knows very little about cars!" "I would tell them that I trust their work implicitly and that their response rate is fast. As a single woman, I always feel informed and am offered several options when it comes to repair work on my car. Recently, my car broke down and needed immediate servicing. My business depended on having my vehicle. Bob made sure that my car was serviced and ready in time! I would recommend them to anyone." "The honesty that my family has always recieved"
"Tremendous service. Competent and completely trustworthy! None better." "They are very nice, they do quality work and I TRUST THEM!" "I trust the shop completely, and that's rare in today's world where there's so much dishonesty. The owner is friendly and knows the customers by name. Even though I live in Fenton, I drive to the shop because I know I'll always be treated well and not talked down to!" "If you want a reliable service company for your vehicle where you don't have to question the validity of the repair and service being suggested, go to Rischbieter's Automotive." "Honest, reliable. You want to know these guys." "Great work & customer svc"
"Bob is a genuinely nice person and will not try and rip you off like other mechanic shops will. As a person who knows very little about cars, he tries to explain things in terms that I will understand. He is very honest and I trust him with my car." "I would tell them that I have used Rischbieter's Automotive for many years- Bob's father was also excellent. I like that they will schedule an appointment, take you promptly, let you wait if just something easy, and answer questions I may have, even if they are silly! I would not take our car to any other garage. Thanks Bob!" "I have always been very satisfied with the work and customer service at Rischbieter's and have been doing business there for many years!" "Once you go to Bob's shop you will never use another shop. He and his team are fair, honest, kind and they always shoot you straight." "Dependable service, trustworthy, great value." "I go here with every car because I can trust that they will be honest with the scope of work necessary to fix the issue I'm having and recommend anything that might be unsafe with the car. It is rare to have someone that isn't family that you can trust this much." "Very comfortable with what needs to be repaired. Excellent communication." "Bob provides top notch customer service. He is thorough in his explanation of the work and updates you on upcoming needed maintenance of the car." "I have always been very happy with their service." "Honest, quality work, good price. Doesn't do unnecessary work. Very happy." "Bob and his staff are always friendly, knowledgeable and work to get my car back when promised. My demon car has stretched thier expertise and they always deliver." "I completely trust Rischbieter's Automotive. I live 25 miles from the shop, but feel that there is no one else that I have as much confidence in as Rischbieter's." "Great service, do not sell you anything you do not need"
"Knowledgeable. Quality work. Trustworthy. Very reasonable. Didn't try to 'upsell' me on additional unnecessary services, but rather recommended optional maintenance (at my request) based on my current mileage. I requested this information because I want to keep the car for several more years so I had Bob do a couple of those tune-up type services. He also told me it was unnecessary to fix something else at that time that the dealer had said I should address immediately." "Highly recommend both for integrity and quality of workmanship after using for many years"
"The staff at the shop did an excellent job communicating with me regarding the repairs recommended for car." "I recommend Rischbieter's all the time to my friends. Very reliable and trustworthy." "Outstanding. Honest and fair. I recommend them most highly." "my father worked there for a very long time, and I grew up going over there, my 5th grade photo hung on the wall there till I was about 35. My dad can fix anything! I highly recommend the shop, and even now that my father is retired, he always has nice things to say about Bob, he calls him fair, honest, and good and I really trust my fathers opinion, I only had a state inspection done but I feel really confident that Bob looked my car over and he would have let me know if there was something that needed to be done, and he wouldn't do work wasn't necessary, I have nothing but good things to say"
"They give you quality service and only what you need. I trust that whatever they recommend is truly needed and I don't have to worry that I am being talked into service I don't need." "I trust Rischbieter's to take care of my cars, servicing what I asked for but looking for and suggesting additional work only that may be necessary for safe and efficient operation. In addition they offer friendly advice and work with me on scheduling." "Great place to have your car serviced." "Exceptional! Always put me at ease about the cost and the timeframe I had to get my situation taken care of." "I was worried about taking my car in a few years ago because I didn't have a lot of money to spend. I spent a month with water leaking into the car when I used the air condition. Bob fixed it and charged me $6.50. Said a hose was clogged. I will never be afraid he will overcharge me"
"Bob is very trustworthy and knowledgeable. We know he will make sure our vehicle is fixed right the first time at the best price possible." "Excellent work by honest people"
"Honest, straight forward and reasonable prices. Job was completed on time. Personable owner." "Quality, trustworthy and take an interest in their clients needs and concerns"
"Very reliable, quality workmanship, easy scheduling"
"The people are Honest - This is the ultimate compliment! Great Place"
"Great customer service. Honesty and integrity are getting harder to come by in service providers and Bob and his team do it right." "I trust Rischbieter's Automotive to provide excellent service at a very fair cost. I live 25 miles from Rischbieter's Automotive, but travelling that distance is worth my time." "The only place I trust without hesitation!" "They do great work and are very trustworthy." "If you want a mechanic you can trust this is the place to go. They are fast, affordable, and do quality work." "Always highly recommend. 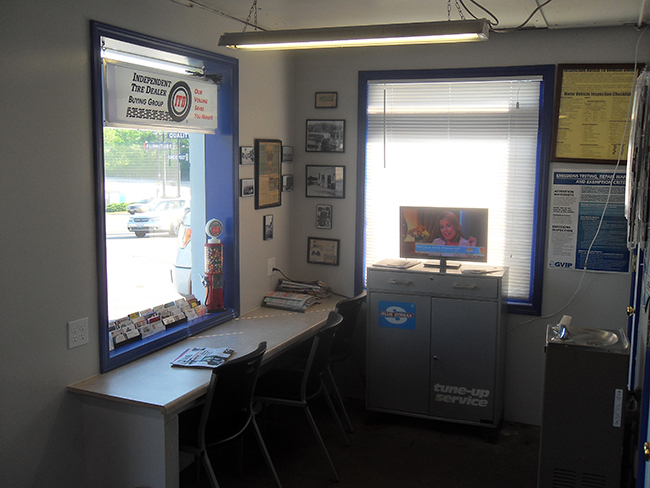 Not your usual repair shop--family owned with real personal service from very competent mechanics." "It is excellent. I would highly recommend to anybody." "Rischbieter's gives you quality work at a fair price. You get that personal and friendly service. Seems they care about you and your car." "The owner is honest and fair with his customers. Quickly gets the job done at a very reasonable price. I would highly recommend this shop to anyone." "Great work. Good prices. Totally honest." "Professional, trustworthy, honest and forthcoming, knowledgeable. They keep working until they fix it right. I have complete faith in Rischbieters." "Rischbieter's Automotive provides great service. It was easy to get an appointment and the work was done on time. One thing that I have always liked about them is that they are very fair. They have fair prices for the work they do and they have counseled me not to have work done that other places have tried to sell me." "I highly recommend Rischbieter's Automotive. I trust Rischbieter's and they do very good work." "My car is always fixed correctly at a reasonable price and with no extra unnecessary repairs performed." "I would tell them, If you want your car fixed right & only in One Visit go see Bob Rischbieter and his crew. I have going to Bob & his Late Father before him for over 25 years. I Trust he will fix my Vehicles right and not add any extra charges, just to Pump up the Bill. He only does what is necessary." "Bob and his staff are honest and reliable. They will never try to sell you a service that is not needed. I have been going to Rischbieter's for over 20 years and have never had a problem. Their customer service and quality of work is exceptional." "I always recommend Rischbieter's as a trustworthy service provider for your Automobile." "I would say that the folks at your place are friendly, accessible and knowledgeable. And that you have integrity and an honest way about you." "Definitely go to Rischbieter's. You will not be disappointed. Rischbieter's is very honest and ethical." 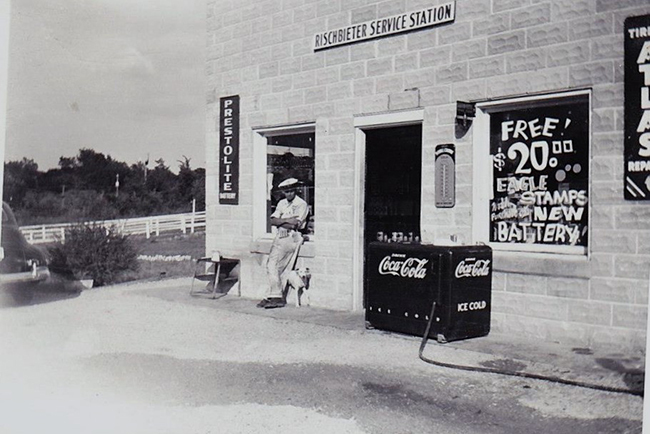 "My husband and I began going to this shop when Bob's father was the owner. In all those years, we have to agree with all of the other customers. Bob has always been honest and works hard to accommodate our times available. We would recommend him and his staff to other friends who are looking for someone they can count on. Thanks Bob!" "Very professional. You can trust them." "I would tell them to see Rischbieter's auto repair. My experience with Bob is honesty in telling you what needs to be done. He will give you an estimate. And only if you what to you can make appointment. It is at your convenience. Once job is done, You know it is fixed. And not have to worry about it. All the techs that work there are friendly and Trustworthy. My Husband Alan Stobie has turned me on to Rischbieter's, Alan's Mother Rose is 87 yrs and she always goes there and we are all very SATISFIED. Thank You Bob & Techs." "Rischbieter''s always lets me know the work that needs to be done, how much it costs and when it is needed. I am given the choice when and how much work needs to be done to my vehicle. The work will always be top notch and done on time." "I have recommended Rischbieters to my friends and family." "I've never had a bad experience with Rischbieters. They beat every other autobody shop by 'miles.'" "I would tell them Rischbieter's quality of work and customer service are second to none! I would highly recommend!" "Excellent care for my aging cars! Really willing to accommodate my schedule. These are people you can trust your car to. They'll tell you what you need and what you don't need. Feels like they understand that you've got your family in that car. First rate work every time." "They do excellent work and are very trustworthy. Bob has always worked with me to schedule needed work." "I regularly recommend Rischbieter's to friends who need an auto repair shop." "The best service and customer service around. Have recommended more than once." "I have trusted Rischbieter's Automotive for many, many years. I drive 20+ miles to Rischbieter's, even though there are shops that are closer to my home. There are plenty of repair shops, but none are better than your business. Excellent service- competent, affordable, and honest." "We have used Rischbieter's Automotive, Inc. for over 15 years. I trust is opinion and the work he has done on our various cars." "I would recommend my friends to Rischbieter's--they are honest, which is most important to me." "Great! Very friendly, honest, and capable." "Bob and the service techs are very trustworthy. They will do their best to diagnose and fix your problem, but they will never perform work that doesn't need to be done. I recommend Rischbieter's to all of my friends!" "I'd tell them if they were looking for an automotive repair shop that would give them a straight answer, fix the real problem at a fair price and say thank you for your business, then this is the place you want to do business." "Honest, friendly staff. Quick service and efficient scheduling"
"I would definitely recommed Rischbieter's Automotive. 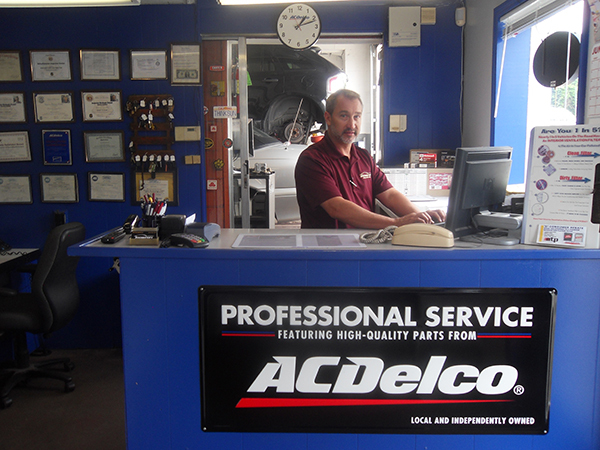 If you're looking for great service and honesty from your auto mechanic, look no more." "We always recommend you! We have never not been satisfied. Alway great work." "Not only does Rischbieter's Automotive do great work, they have saved me a lot of money by explaining why I didn't need the repairs others tried to sell me. No problems yet. Now I just go to Rischbieter's first. Thanks, Bob." "Most all my repairs have been correct the first time. I never worry about taking my vehicle back in to fix again." "Good service, no unnecessary repairs, prompt attention." "I would tell them that I trust the mechanics who work on my vehicles." "You can trust Rischbieter's to fix the problem at a fair price and not charge you for any unnecessary repair's or add any additional costs for questionable extras." "They have always been very fair with us, the service gas been great and they stand behind it." "Good service at fair price. Very honest on what actually needs to be done and what can wait." "Great work at a fair price"